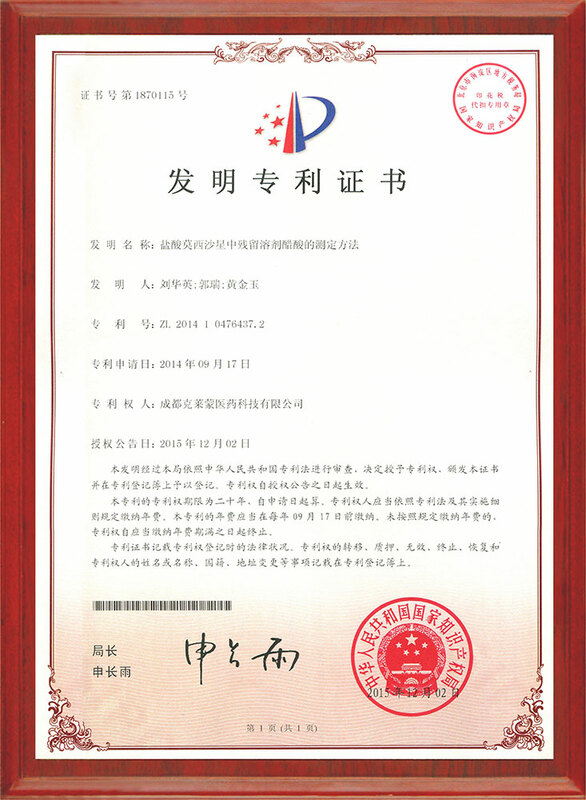 At present, our company research and declare 5 items (API + Preparation).Originally registered class 3.1, we have two. Ulipristal acetate and tablets, Macitentan and tablets, both has received clinical trial approval.Originally registered class 6, we have 3. One of them has been approved for bioequivalence tests. 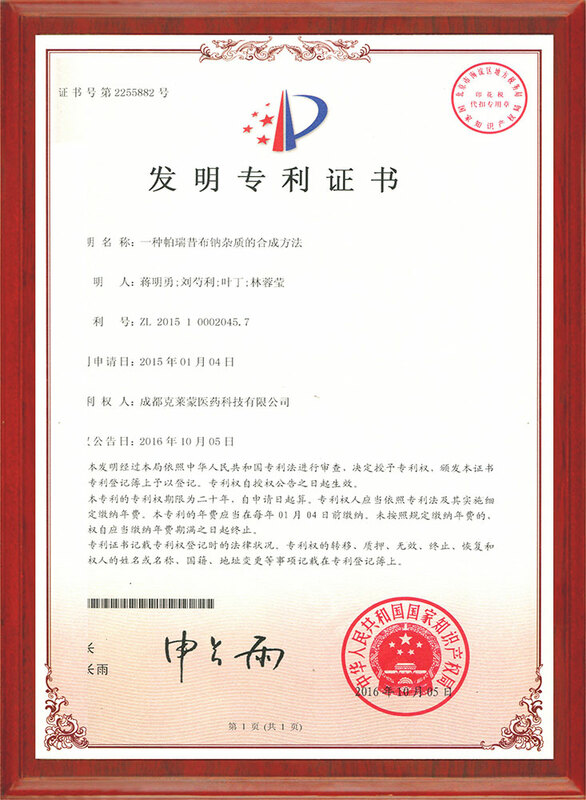 In the process of drug research and development, we applied for patent protection for innovative technologies,Up to now, we have applied for 17 patents for inventions, 8 of which have been obtained patent certificates, and the others are in the review.